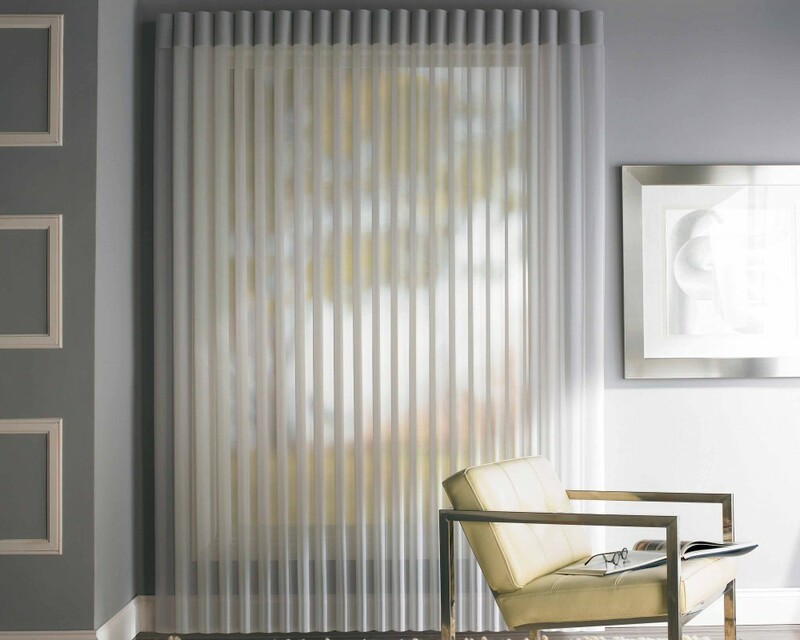 Luxaflex’s Luminette Privacy Sheers offer you a soft filtered view providing privacy with easy controlled tilting vanes. The luxurious look of soft curtains is accentuated at night when the shade is closed. Suitable for any rectangular window or door opening, they are perfect for large doors or windows. They are drawn open like curtains with the use of a cord, the sheers can be drawn closed and the fabric vanes can be rotated like blinds, all with a simple twist.